For some time people on Earth are confronted with a powerful virus. First, we all ask for a natural treatment for HIV, and then become so scared that go with chemicals. Yet, on 8 March 2013, the usnews.com said the science world reported a recent discovery that had potential to change the world. For the better. Logical question: what happened since? In the article “BEE VENOM DESTROYS HIV AND SPARES SURROUNDING CELLS” published by Medical News Today, we read that scientists from Washington University School of Medicine, reported in the March 2013 issue of Antiviral Therapy, that nanoparticles containing bee venom toxin melittin can destroy HIV, and leave the surrounding cells unharmed. Their finding is a major step toward creating a vaginal gel that can prevent HIV spread. The research team was conducted by Joshua L. Hood, MD, PhD, research instructor in medicine. It’s not all the venom that works, only a powerful toxin contained in it: melittin. A natural question arises from here: if it is a toxin, doesn’t it affect our healthy cells, along with the sick ones? it is known that free melittin in large-enough quantities can cause considerable damage. Here is where the scientists have put their mark: it’s not about using free melittin, but nanoparticles loaded with melittin, which will not be able to harm normal, healthy cells. “Not be able to” ? – yes, because physically this will not be possible. Compared to nanoparticles, HIV is much smaller, and a healthy cell much bigger. Starting from here, the scientists have found a way to destroy the virus. The nanoparticles were first coated with melittin (the toxin) and than some bumpers were added. These bumpers are very important, because when the nanoparticles come in contact with a normal cell (which is larger than the nanoparticles and the virus), they are bouncing off, rather than attaching themselves. HIV, on the other side, is much smaller than the nanoparticles and fits between the bumpers. Once they get there, they will touch the surface of the nanoparticles and thus the toxin. This toxin will fuse with the surface of the virus, forming little pore-like attack complexes which will rupture the envelope, stripping it off the virus. “We are attacking an inherent physical property of HIV. Theoretically, there isn’t any way for the virus to adapt to that.” – Joshua L. Hood, MD, PhD, research instructor in medicine. How is this different from the regular anti-HIV medication? Most of the allopathic medication work on inhibiting the virus’ ability to replicate. Melittin attacks a vital part of the virus’ structure. Regular medicine do not manage to stop the virus from starting an infection. Even more, the virus proved to be smarter! Some HIV strains have found ways to circumvent these replication-inhibiting drugs, and still reproduce. How good is this melittin? Samuel A. Wickline, MD, the J. Russell Hornsby Professor of Biomedical Sciences, has demonstrated that nanoparticles loaded with melittin have anti-cancer properties and have the capacity to kill tumor cells. · Bee venom for therapy: arthritis. What is apipuncture? These nanoparticles coated with melittin and ‘armed’ with bumpers will be able to poke holes in all viruses’ envelopes, as they are smaller than the healthy cells. Would the patient need to be stung with a bee? Definitely not. The scientists speak about creating a gel with melittin, the toxin extracted from the bee venom, which will be used as a preventive measure to stop the initial infection. How are the nanoparticles introduced in our bodies? 2. To inject the nanpoparticles into the patient’s bloodstream and they should (in theory at least) be able to clear the blood of HIV. It is true that the study was carried out in cells in a laboratory environment. But the scientists say the nanoparticles are easy to produce – enough of them could easily be supplied for future human studies. Sooo, if things can be easily researched more, and if the study was first published on 8 March 2013, how come that now, on 11 August 2015, we are still saying HIV cannot be killed? Is this the first time you read about a discovery that says a natural product can kill HIV? Because I don’t think so. Here are some of other natural products, each having a link directing to ncbi.nlm.nih.gov/pubmed, which published them. – Elderberry, green tea and cinnamon extracts rich in certain flavonoid compounds were shown to block HIV-1 entry and infection. – Licorice contains the compound glycyrrhizin which has significantly inhibits HIV replication in the peripheral blood mononuclear cells from HIV-seropositive patients. – Sumac (Rhus chinensis) has compounds with anti-HIV activity. – Black and green tea contain compounds which inhibit HIV-1 entry. – Pomegranate exhibits antiviral activity against HIV-1. So the question is still “What happened since?” With so much technology around us, with so many devices we cannot even dream of, and mostly, with so much money invested in research, how come we don’t have a cure yet? Unfortunately, I suspect we do. It’s here already, but not for the common people. Seems like the commoners are the ones that are suffocating the planet. Why cure them and not still getting money of their backs? So, if I know the powerful people cannot be defeated and that we cannot have access to real cures, what’s the point in our struggle? And most important, what shall we do? My opinion is to stop trusting the big pharmaceutical companies. To stop trusting allophatic medicine (except, of course, for emergency medicine). And come back to our nature. It’s our only ally. We have survived for so long on this planet without chemical drugs. And even these chemicals were invented starting from the natural products like herbs and fungi. We need to return to our purpose on this planet and understand its value. What causes CCD? Do pesticides kill bees? Or radiations? Pathogens? Aliens? Honey and walnuts health benefits: treat anemia, stomach ulcers, high blood pressure. And make a reliable aphrodisiac! Hi Laura, its good news to hear that bee venom and black seed cure hiv, am wondering why the governments can not make it official for the common man to access the cure? in Africa specifically in Ugansa where I come from, every family atleast has lost a person to hiv aids and people are still dying. how do we acces those two drugs to save souls? This article presents a possible solution found in 2013. There has been almost 5 years since and we cannot find the drugs on our market. From what I see there are only 2 possible explanations: 1. the clinical trials were not successful and 2. the drugs are already available – but only for a limited number of people, the most important ones. Why? Because the Big Pharma would lose too many money if a cure were released into the world to eradicate HIV. It’s all about interests. And the fact that they don’t care about the thousand of dying people. On the contrary. Things are not that easy. The scientists are using an extract from bee venom to make a medicine. It’s not like we can heal ourselves by getting stung by bees. But have you read this article: Do black seeds really cure HIV? Some case reports may help! ? Does this all mean Bee venom cures HIV, If so how many people have been cured using bee venom? Bee venom is used in making a drug which can kill all HIV viruses from the body. Is not like we let ourselves get stung to be cured. From thic point it’s up to scientists, clinical trials and the Big Pharma to accept it. But for now, research has shown that it is possible to make an efficient drug using a toxin found in bee venom. Studies said they did. Vitamin D3 should also supplement them. And you may try other vitamins, as well. Check this site on what vitamins to take. There are also online forums with people sharing their experiences. Bee veveom can only be used by scientists to create the nanoparticles which will kill the virus, after they were inserted in your body. Otherwise we cannot used it for this. Where can i get the bee venom in live in Tennessee and i hate taking meds i just want to be cure of this deadly disease. Unfortunately we cannot simply take bee venom for this. The venom is used to create a special medicine, we cannot do it ourselves. Have you read Do black seeds really cure HIV? Some case reports may help! and How to cure HIV? The black seeds, Nigella Sativa, have the answer!. 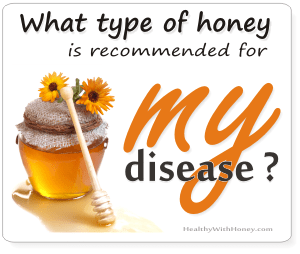 And Black seed & honey – a natural cure. Cancer is gone! There are other methods that can help with this condition. What are the nanoparticle bumpers made out of? How can I acquire a list of names and numbers of practitioners for treatment as soon as possible? Please advise. Thank you in advance for this important information. 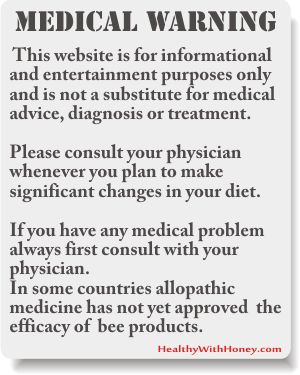 If you are from the US you can check this page here: Find an apitherapist in USA. From What I could find, these nanoparticles can be made of different materials. Here you can read more about what they are made of and how they are used in medicine today. Bumpers are sometimes used, you’ll find there details available for the general public. Colleagues, We produce and sell best quality bee venom powder. Please read our website for more information. 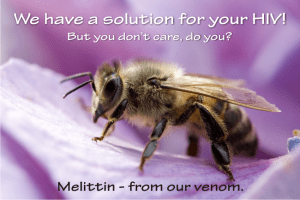 To find bee venom to use, just google: apitoxin medical grade. Apitoxin is the name for bee venom in Latin. Thank you. Apitoxin comes from Api (Apis Mellifera – the Latin name of our common honey bees) + toxin (well, toxin, a poisonous substance). Try asking at your local herbs stores, and if not you can always order them from the Amazon. Here is a link. Thanks a lot for your article. I have a question. Do you know if it’s possible to get injected with the bee venom or the melittin somewhere in a US hospital as part of a study? Or can one simply self inject himself? And one more thing, are you actually saying that the bee venom cures HIV? 2. No, one cannot simply inject himself, because there are special points (from acupuncture) where they are injected. And the patient needs to be monitored after each session, as secondary reactions of the body may appear. See Venom Immunotherapy or How to treat bee sting allergy for good! 3. Not me. I’m not the one saying this, I’m only citing a study and scientists’ opinion. And they say that a certain compound of bee venom, mellitin, can be used in creating special “drugs” to destroy HIV. The only thing here is to find money and willingness to be done. “Here is where the scientists have put their mark: it’s not about using free melittin, but nanoparticles loaded with melittin, which will not be able to harm normal, healthy cells. 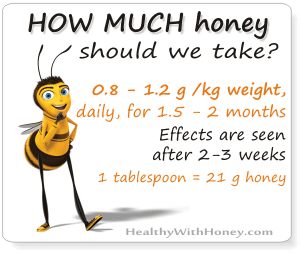 how many times can one be stung by bee daily or weekly? More about bee venom therapy, including the one which involves direct bee stinging can be found in the article: Bee venom for therapy: general information or here Venom. On each of these pages you can find links to specific conditions that can be treated with bee venom and what is the technology used for them. Hai. Its a good news. I am hiv positive and this traditional therapy is quite under popular in my country. Once said I talk to the therapist. Bee did CURE the patient with hiv positive. He said with lab result also. But I still wondering what is the standard of Cured HIV. But bees and honey are mentioned in Quran as healer. I don’t know of any statistics of how many people got cured from HIV with the help of bee venom. As it is not yet a scientifically accepted healing method, it is hard to obtain real information. But I’m sure a specialized apitherapist will tell you exactly what to do. My mission here is to inform people that there are alternatives for everything and then direct them in those directions. Find an apitherapist and he’ll give you the necessary details. Thank you for your input here, though I’m not sure this is nothing but a spam. But I allowed it just in any case. It’s a point to start, it’s something else worse searching the internet for. But for everybody, please check from at least 3 sources if this dr. is a fraud or not. I do understand what you’re saying. I wrote an entire article on honey in Koran. 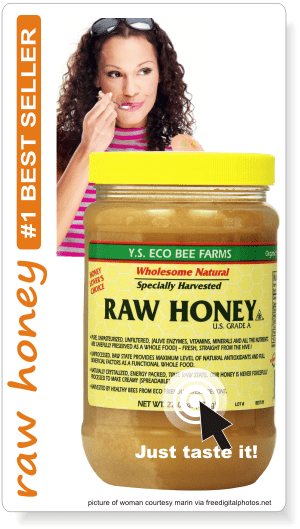 I trust real honey a lot, yet I don’t consider it a panacea. But yes, human mind and strong convictions have this power! Only that we people of today are so far from it. And yes, your black seeds are also very capable of killing HIV. How to cure HIV? The black seeds, Nigella Sativa, have the answer! This is what happens these days: We need to dissect everything, do some in vitro test, then some clinical trials, then we need for the big CEO-s of pharmaceutical companies to accept it, and then, yes, we say “Oh, so they were right. Koran was right, too!”. Funny, I know. Sad, too. “We need to return to our purpose on this planet and understand its value”. That’s a good question. Scientists have first analyzed the composition of venom. And then simply thought of what can this toxin do to a cell. And yes, as a respectable toxin, it can kill viruses. And not only HIV. No, the bees are not affected when taking the venom. It is true that they die after stinging, but they did find a way of gathering their venom without harming them. In the article What is the best cream for wrinkles? there is a paragraph “Are the bees killed to get their venom?” with a video that shows how it actually works. 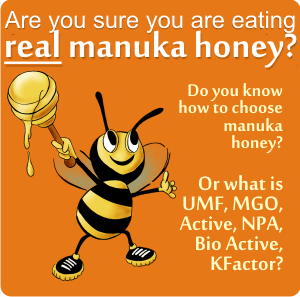 I have really learnt a lot on your website.Such an informative article and thank you very much for alerting us the benefit of honey.I think is hard time i never joke with taking my honey always.